At what point does racism move from isolated incidents to a systemic problem in the Canadian Forces? Master Corporal Marc Frenette is quitting his decades-long service after years of racial harassment. Last May, Corporal Esther Wolki went public over the racial abuse she suffered and the damage it did to her mind. Not even the defence minister is immune from racist attacks. Then there's Private Wallace Fowler. For 16 years he has been trying to get the Forces to properly investigate the racism he says he endured. At what point does racism move from isolated incidents to a systemic problem in the Canadian Forces? Master Corporal Marc Frenette is quitting his decades-long service after years of racial harassment. Last May, Corporal Esther Wolki went public over the racial abuse she suffered and the damage it did to her mind. Not even the defence minister is immune from racist attacks. Then there's Private Wallace Fowler. For 16 years he has been trying to get the Forces to properly investigate the racism he says he endured. Fowler has military records pointing to it, witness statements and letters from a lieutenant-colonel chaplain and a navy commander attesting to it. National Defence denies there was any racism. Dennis Manuge first connected Wally Fowler with me. Dennis told me he had a guy with a hell of a story about racism in the Forces who wanted help with his book. I was pretty skeptical -- hadn't we more or less sorted out that sort of thing back in the 90s? Yeah, sure, I know there's racists and bigots and bullies everywhere, but what Dennis was talking about wasn't 'a few bad apples, but a very serious problem within National Defence. I found the whole idea hard to believe... but then, I'm white. Since Dennis isn't one to exaggerate, I agreed to talk to Wally. Taken as isolated incidents, few of Wally's experiences are over-the-top shocking. There's no cross-burnings, for example. But when one considers the volume of incidents in Wally's short career, it becomes clear there is a serious issue. In just three years, Wally says he faced everything from nasty comments and harassment to injury and life-threatening situations. 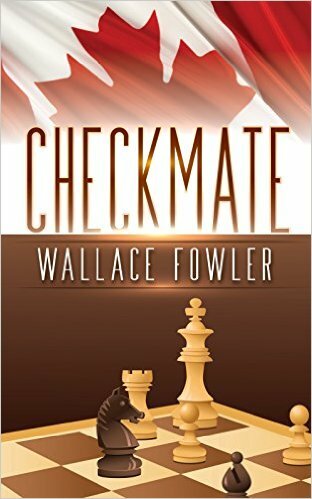 Wally has now taken his fight very public in his book, Checkmate. The following is backed up by documents Wally obtained under Access To Information, documents which I personally analyzed in assisting him with the book. In just his first five months of service at CFB Borden, Wally recalls a sergeant who called him "homeboy" and forced him to run until he blew out his knee, then overloaded him on a later exercise and force-marched him until his knee gave again. After that, a medical officer ordered an investigation after being tipped off that Wally was being denied meals on a field exercise, and made to stand extended watches outside without proper clothing. Wally moved from army to air force to get away from the abuse. Posted to CFB Esquimalt, Wally details how he and his spouse were refused service at the base store. Also on base, their kids were spat on, subjected to drive-by verbal assaults, put off the school bus, denied lunch in the cafeteria. His spouse was walking home on base when people in a truck threw at banana at her and called her names. The base social worker, padre, and the base commander confirmed the racial harassment. The Esquimalt Commander had to fight to get the Fowlers away from the abuse; fight against a career manager chief warrant officer (CWO) who claimed that Wally just wanted to go home, and that he should quit. The Fowlers were moved to Trenton, where Wally served directly under that same -- and just-posted -- CWO who presided over workplace harassment. The Chief ordered the base harassment officer not to talk to Wally as workplace harassment began. His chain of command, from CWO down to sergeant, played games: sending Wally on pointless errands then punishing him for leaving; booking "counselling" appointments that Wally never asked for and wasn't told about (then assigning punishments when he missed them); assigning Wally to work solo on the worst jobs, separated from the rest of his team. Wally was escorted by his sergeant "to meet another black" and, under supervision, "to find out there's no racism here." When Wally filed a complaint, he was posted to a basement, alone, with no duties for months. The abuse took its toll: Wally developed major depression and anxiety. The family had been living under siege and relationships were strained. Wally's complaints went unaddressed. Finally, he asked for a compassionate release based on the years of harassment. He got his release, but it wasn't compassionate: National Defence said he "wasn't advantageously employable." It's difficult to nail down the point where a series of racial attacks becomes a systemic problem. Between 2000-03, Private Wallace Fowler endured abuse and harassment from within the Forces, often from his superiors. His complaints largely were ignored by the Forces, despite their then-much lauded Standards of Harassment and Racism Prevention (SHARP) program. DND's victim-blaming would certainly qualify as systemic racism. Wally appealed his release terms and asked a Board of Inquiry to rule he was medically unfit because of the abuse he'd suffered. The BOI ignored key witnesses, dismissed evidence provided by Wally, and ruled "there was no evidence of racism." Military Police maintain that it has no records at all pertaining to Private Wallace Fowler -- no complaints filed, no call outs, no reports against -- even though Wally has documents referencing such records. That makes one wonder if the MPs misplaced the records or they were illegally destroyed or otherwise made unavailable. The Canadian Forces Ombudsman investigated, interviewed some of the witnesses and took custody of Wally's original evidence, but supported the BOI ruling. Documents show the Ombudsman "misplaced" evidence, ignored corroborating witness statements, and -- worse -- had been drafting their conclusion from the start of the investigation. That's what makes for evidence of systemic racism: denial and apparent cover-up. Much of Wally's evidence comes from government itself, yet National Defence, multiple ministers thereof, and the CF Ombudsman continue to say there's no evidence of racism. Then-Minister Peter McKay went so far as to suggest that there is no racism in the Forces... while simultaneously promoting the SHARP program which addresses racism in the Forces. Who benefits from this fight? Not Wally Fowler, who has spent the past 13-plus years battling the system. Not Wally Fowler, who isn't looking for money, but justice. Not Wally, who wants his release code made accurate, even though that won't change his circumstances. Not Wally, who just wants the Forces to acknowledge what was done to him, to address the issue of racism within the ranks and to prevent others from suffering the same fate. 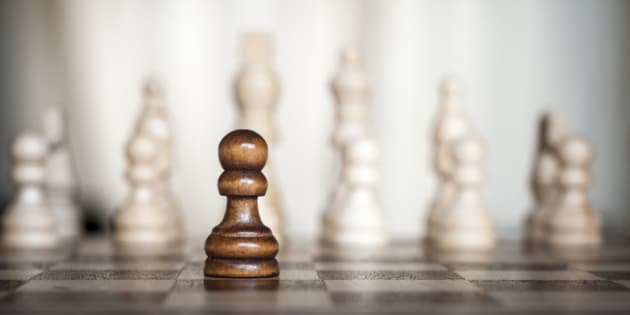 Who benefits from denying racism is a problem that needs addressing?